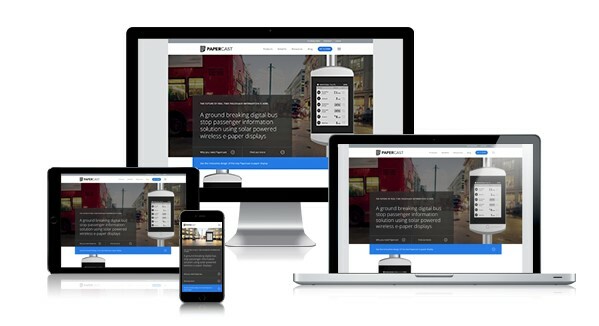 Papercast introduces a stunning redesign of its solar powered wireless e-paper display, with the launch of a new website. The sleek new contemporary design of the e-paper display comes thanks to a new ruggedized IP65-rated enclosure, made from extruded aluminium with a toughened laminated anti-vandal, anti-scratch front glass, integrated accelerometer and a secure fixing mechanism. “The all new Papercast e-paper display has been designed to impress. 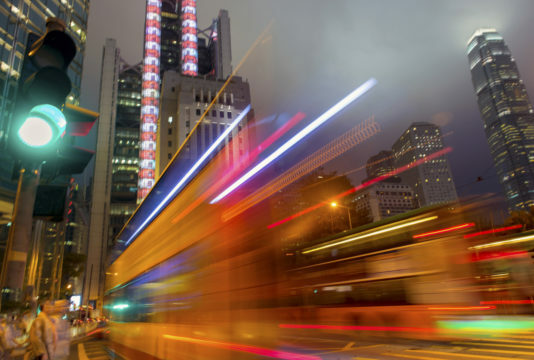 It offers a robust and contemporary solution for delivering real-time information to passengers at bus stops,” said Robert Bicket, Chief Executive at Papercast. 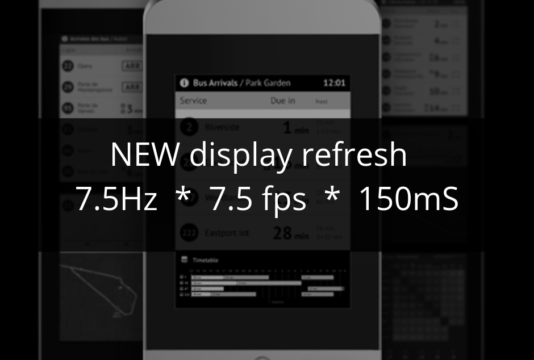 “Combined with our new e-paper driver board, Papercast is redefining the benchmark for future-proof bus stop passenger information systems. We have recently showcased this new product at major industry events and the level of interest has far exceeded our expectations”. The all new second-generation Papercast display comes in single, double and triple 13.3” screen sizes, with ultra-low power LED edge lighting for night time illumination. The IP65 rated aluminium enclosure offers maximum protection against vandalism and the elements, such as water and dust, and can withstand the harshest conditions, with an operating range of -20C to +70C. 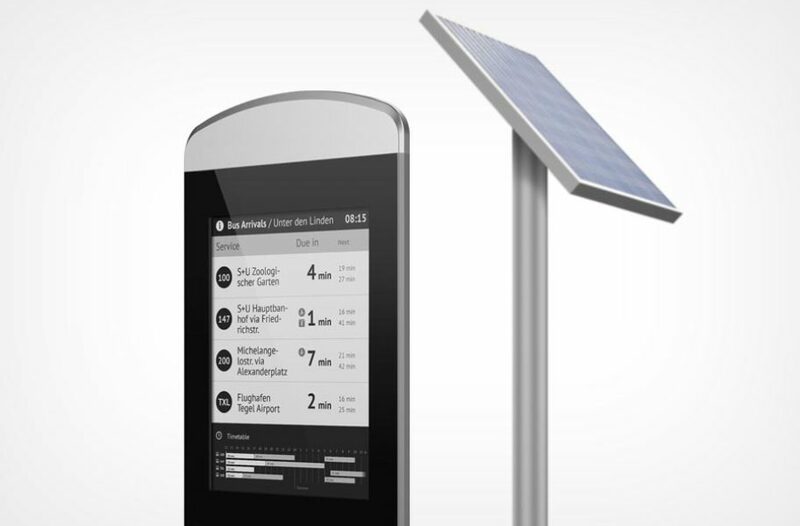 With solar power and wireless connectivity as standard, the display is completely standalone and can be easily installed completely ‘off-the-grid’ within hours – without the complication of power or communication cables. The enclosure has been designed with a secure and flexible mounting system for easy installation either directly onto flat surfaces or posts of 76-152mm in diameter. 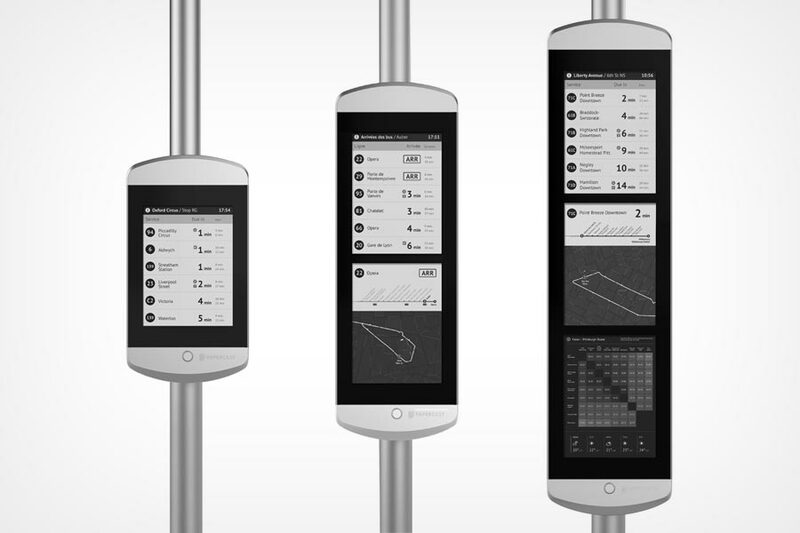 Once installed, the display is activated, configured and operated by the powerful Papercast cloud-based data management platform via 3G or WIFI. 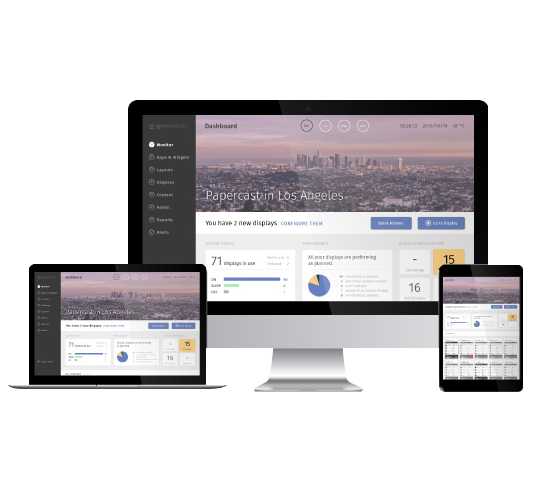 The new website has a clean uncluttered design, improved functionality and enhanced content to showcase Papercast’s future-proof, easy to implement real-time passenger information solution for bus stops, as well as support the company’s vision to improve the customer experience and overall utilisation of public transport by keeping passengers more reliably informed. CHIEF EXECUTIVE OFFICER Robert focuses the company on a single global strategy aligned with the needs of the market. He is also responsible for developing our capability in all disciplines and collaborating with delivery partners to establish our market position in key geographies.